Back with another pencil comparison post! I do hope these are useful for you, and will be a good reference for those intending to buy a larger set of pencils. Let's talk about wax-based pencils today. 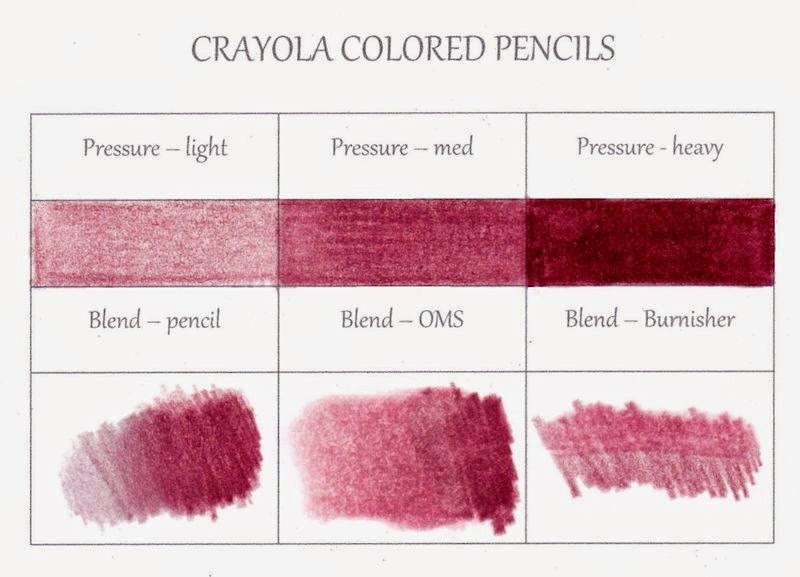 What most people would refer to as 'regular' colored pencils are wax-based. 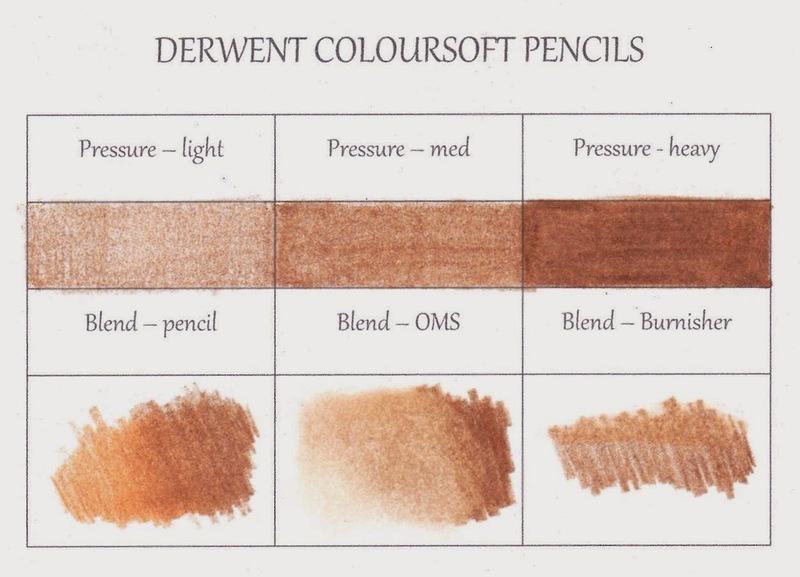 Wax-based pencils generally have soft leads and blend well. They can be used alone, blended with a special colorless, wax-based burnishing pencil (sometimes called a burnisher or colorless blender), or blended with a solvent such as rubbing alcohol, baby oil, or odorless mineral spirits, applied with paper stumps. A common complaint about wax-based pencils is frequent lead breakage. The pencils below are the ones I have in my collection. I don't have full sets of all of these, but I felt I had enough of each line to make a comparison. I tested each brand at different pressures, then used 3 different blending methods to see how well they performed. In the blending samples, the first is done with 2 different pencils blending one into the other. For the second sample, I colored with heavy pressure to the right and blended out with odorless mineral spirits to the left. On the third sample, I scribbled a sample, then used a Derwent Burnisher to blend across the top. These types of blending are covered in my Pencil Basics class. Strengths: strong lead, pigment rich, great coverage. Blends well with all methods. I colored this card using Prismacolor pencils (see the original blog post HERE). They're my favorite of the brands listed above, and I'm willing to forgive them for their breakage issues because they are so easy to work with. The pigments are bright and strong, they're creamy and blend well, and work well with other brands. For the price and quality, the Blick line of pencils is actually a very close second for me. The leads are soft and blend very well. Pigments are vibrant, and really comparable to Prismacolor. There are 91 pencils in the whole line, plus a blender. 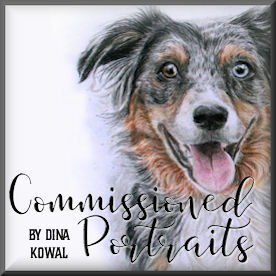 I have the portrait set (24) and a handful of other colors that I purchased to supplement my Prismacolors. By the way - I threw the Crayolas in the mix because I have them - they're not artist grade pencils, but for a scholastic grade pencil I was surprised at how well they blended. 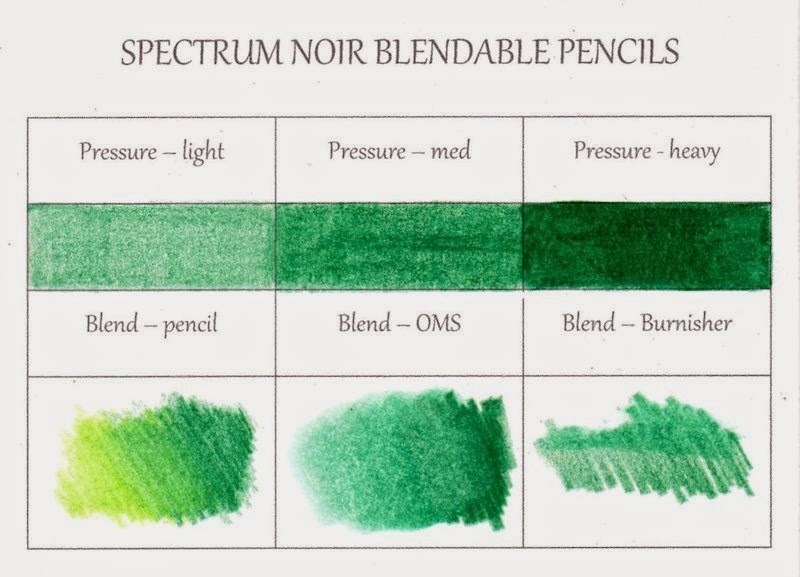 They don't have the pigment strength that an artist grade pencil would, but if you're just learning or you just need 'something' and aren't ready for a big investment, they're a fine place to start. Next time we'll tackle oil-based pencils! If you have questions, leave them in the comments and I'll answer them in another post. Thanks for the detailed analysis of the pencil options! I am a real fan of Prismacolor pencils and am inspired by your stunning creations. Great comparison, Dina! Prismacolors are my favorite too. You have to be careful how you sharpen them to minimize breakage issues. They are actually better when electronically sharpened, not hand sharpened. And you also have to be careful not to drop any kind of colored pencils on the floor. This can actually cause the leads to crack inside the wood and make for more breakage issues. That's why open stock can be such a crap shoot, you just don't know if they've been dropped, but to build my collection, I am willing to take the risk! Thanks for sharing Dina. Love my Prisma pencils. 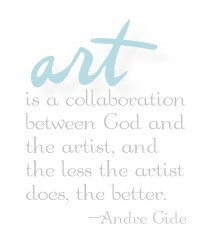 I agree with JanTink. I sharpen mine with an electronic sharpener. Only problem that I have with my collection is I wish it were bigger. Ditto Irene's comment. Prisma pencils are my favorite as well. I use a small steel hand sharpener and haven't had any breakage issues. But I like Jan's comment - makes sense. I re-sharpen as I color - and when I am finished. As with Copics, I think paper choice is important for your best look with pencils too. Dina, your card is beautiful! 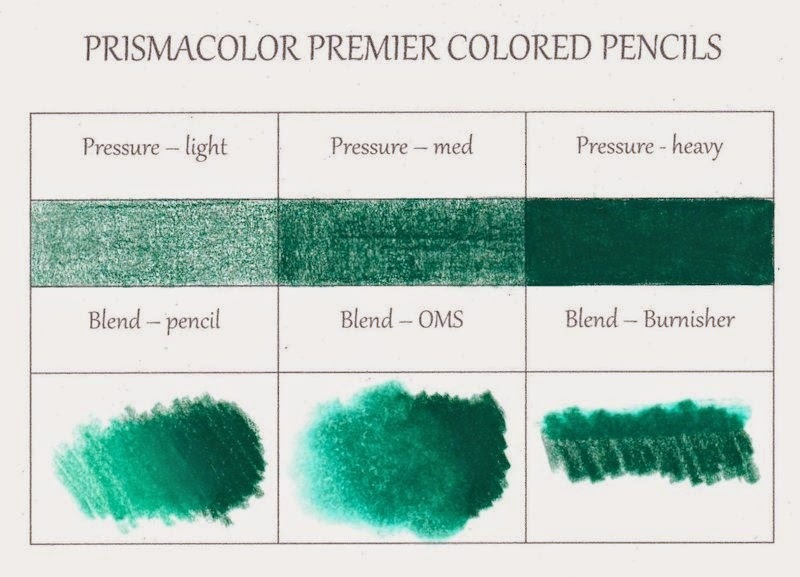 What is the best paper to use with prisma pencils ? I'm saving all of these, it's such a great tool for comparison! I have both ColorSoft & Prisma, & like each. FYI, I was DYING to get the Spectrum Noir, but will not be purchasing because there is no open stock. hence the reason I did not purchase their markers either. It's like a printer once the ink runs out on one color, you have to buy the whole darn cartridge! You might want to pass on that suggestion♥ Thanks for this tutorial! do you know if there is any overlap in the prismacolor pencils if you buy sets of the same size? Your card is beautiful! I'm back for the 100th time using this invaluable reference! This is just an incredible amount of information and thanks for putting so much work into this wonderful and thorough comparison!